Contact us today on 01621 783550 for further details and prices! 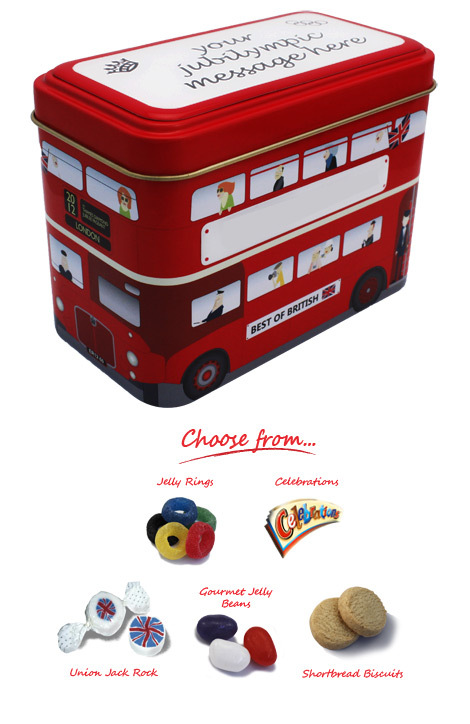 This entry was posted in General and tagged commemorative souvenirs, Diamond Jubilee, London Souvenirs, Personalised Merchandise, personalised products, Personalised Sweets on July 18, 2012 by nicky. Impamark have just booked space to exhibit at this NEW local Maldon Business Event!!! 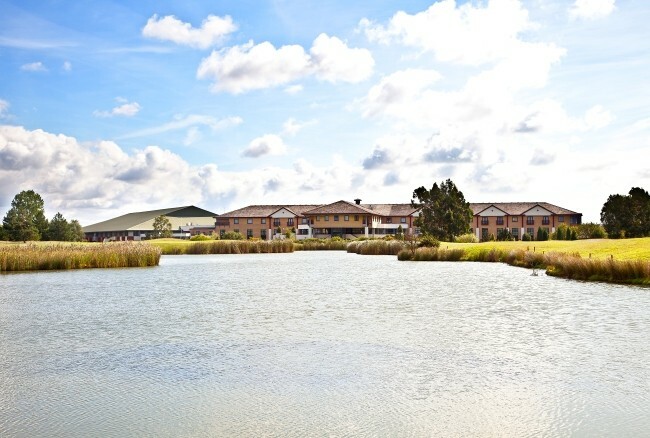 Essex Chambers of Commerce in conjunction with Maldon District Council are proud to announce the launch of their ‘Think Local’ business campaign within the Maldon District. Impamark were proud to have supplied Maldon District Council last year with their Think Local Stickers for shops and businesses in the area. 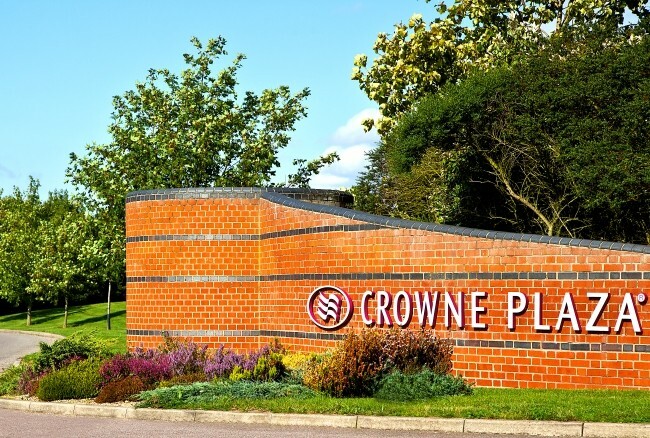 This is a fantastic opportunity for local businesses to network and exhibit to other local businesses within the area all under one roof at the newly refurbished Crown Plaza Resort Colchester – Five Lakes. The all day event will consist of a number of local and nationally renowned guest speakers. Breakfast, Lunch and afternoon tea will be served. Don’t miss this new and exciting opportunity the first event of it’s kind in this area. This entry was posted in General and tagged Banner Stands, Conference and Exhibition Branded Merchandise, Corporate Clothing, Essex Chambers of Commerce, Exhibition Giveaways, Exhibition Promotional Merchandise, Maldon Business Showcase, Maldon District Council, Pens, personalised pens, Promotional Giveaways, Think Local on July 12, 2012 by nicky. This entry was posted in General on July 6, 2012 by nicky. 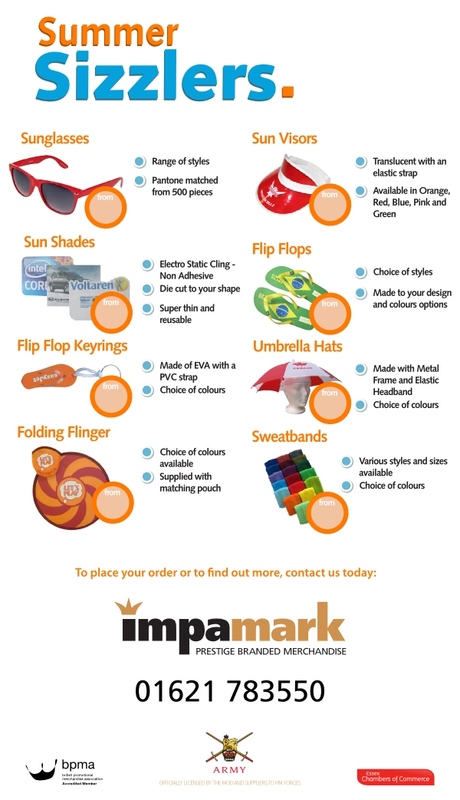 This entry was posted in General and tagged branded flip flops, corporate gifts, personalised sun screens, personalised sun visors, personalised sunglasses, personalised sweatbands, summer merchandise on July 6, 2012 by nicky.